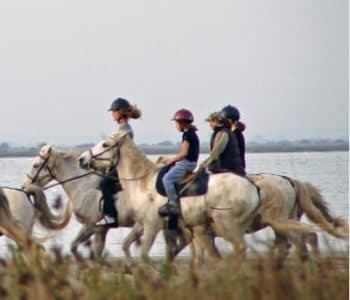 The Ile de Ré, with its seascapes and salt marshes, has a remarkable historical heritage. It is also an ideal destination for bike rides. The highest point of the island rises to 20 meters of altitude … to say that it is the place dreamed for bike rides. Many bike paths line the island. It is also the best way to visit the island. 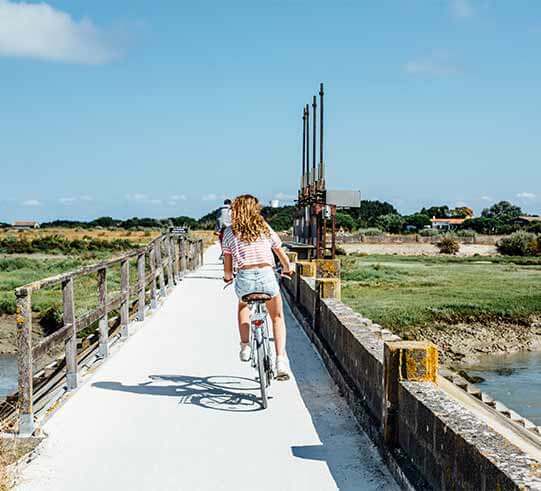 With 100 kilometers of cycle paths, the Ile de Ré offers many routes for your bike rides, among the must-see, the tour of the island. 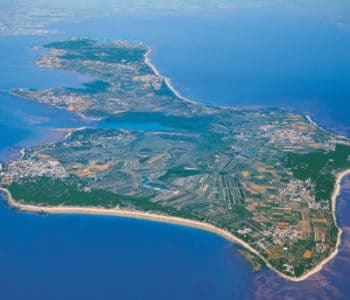 From Rivedoux, except the Fiers d’Ars, the northern coast of the Ile de Ré is very largely equipped with a large bay lined with marshes. The bike path then returns to the coast to reach the famous Whale Lighthouse. You can then continue to Les Portes en Ré, a small town housing some of the most beautiful beaches on the island. By taking the track, you can continue and do a few kilometers to Bois-Plage-en-Ré, through Ars en Ré or La Couarde. At Bois-Plage-en-Ré, the tracks separate, however, they both lead to Rivedoux. You can choose to go north by the track taken one way, or to the south through Sainte-Marie-de-Ré. This tour of the island is feasible in one day. The island of Ré is an island suitable for walks and bike rides. To discover the treasures of the island, itineraries will be offered. The first route takes you to the path of history where you can discover La Redoute des Sablanceaux which is in the town of Rivedoux. It is a fort dating from 1627, and built following the siege of La Rochelle. On this path, you will also discover the ruins of the Abbey of the Chateliers, dating from the 12th century. 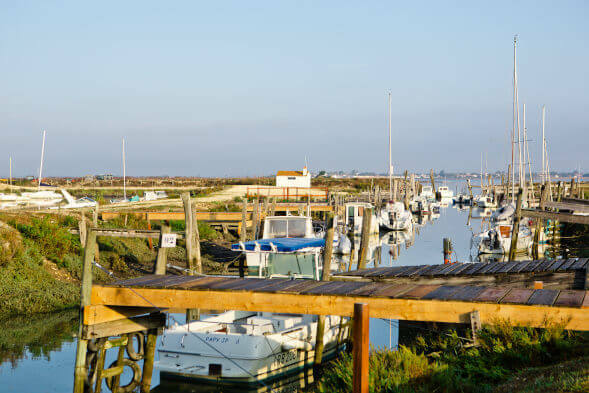 On your way, you will arrive in the pretty village of La Flotte en Ré. You will finish this stage in the town of Saint-Martin-de-Ré, the island’s historic capital. Enjoy your visit to discover the fortifications of Vauban, built around 1680 and classified in the list of World Heritage of Unesco. The second route takes you to the country path. The starting point is the town of Saint-Martin. From there, several routes are available to you. The first takes you to the center of the island passing through the agricultural and wine trails. You can continue to follow this route to Bois-Plage. Snaking through the sandy lands, bordered by maritime pines and tamarinds, you will reach the beautiful beaches of Gollandières and Gros Rush, nestled behind the dunes. You can continue along the vineyards and the sandy beaches until the village of La Couarde. Another route from Saint-Martin to the Loix peninsula takes you to the coastal path. This is a track to follow in order to enjoy the sea air and contemplate the immensity of the ocean. 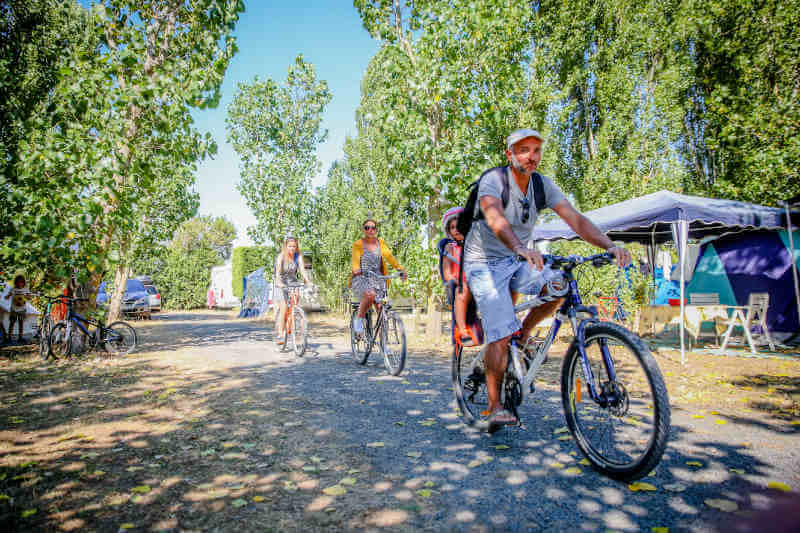 Located near bike paths, the campsite La Tour des Prises (offering the rental of bike on the island of Ré) is a family campsite, ideal for resting all taking advantage of the idyllic bike rides on the most beautiful bike path of the island, the one that leads to Loix through the marshes. 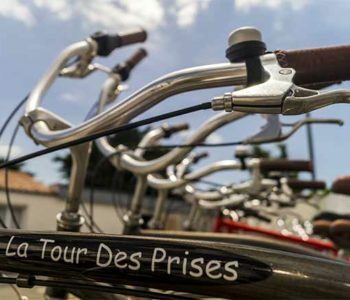 Located in the town of Couarde-sur-mer, La Tour des Prises campsite is ideal for cycling enthusiasts. 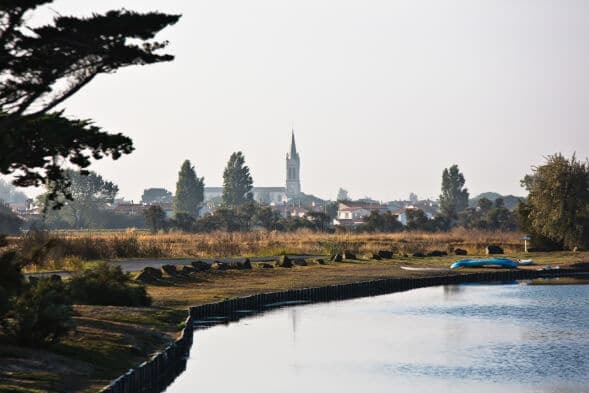 Indeed, located in the heart of the island of Ré, this village is located in the confinement of all biking trails. With an ideal and strategic location, it is the ideal starting point for all your bike rides. 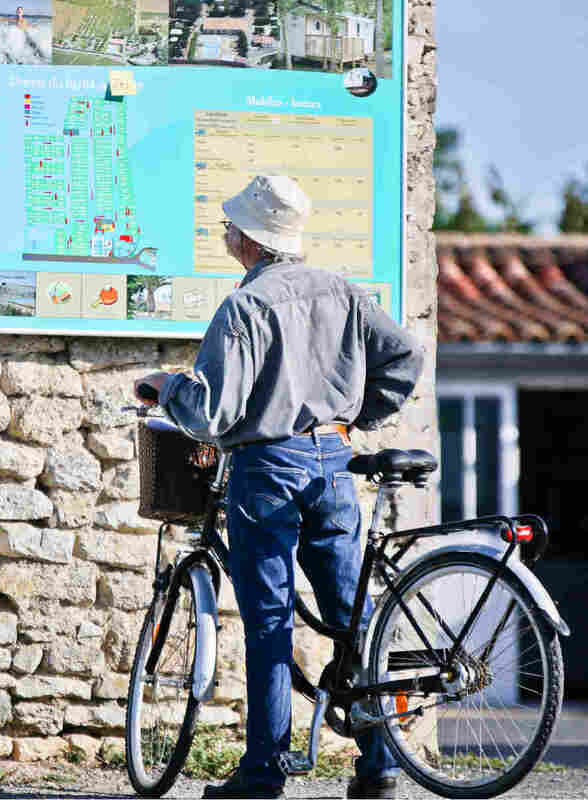 Get on your bike and leave for a journey of about forty kilometers from La Couarde sur mer. This route takes you to Bois-Plage en ré, passing by Saint Martin de Ré to Loix. For the slower ones, plan a whole day to make this route. As for the fastest, half a day should be enough. This course will reveal the main products of the terroir retais, starting with the vineyards and wine, vegetable crops and in particular the potatoes of the Ile de Ré classified AOC, oysters, not to mention, of course salt. From La Couarde, head towards Bois Plage en Ré through the vineyards. It is also possible to start this circuit by the north road, towards Saint Martin de Ré and along the proud. 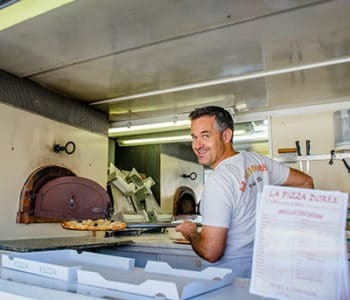 If you leave Saint Martin in the direction of La Couarde, by housing the seaside you will discover on your right the small village of Loix en Ré. 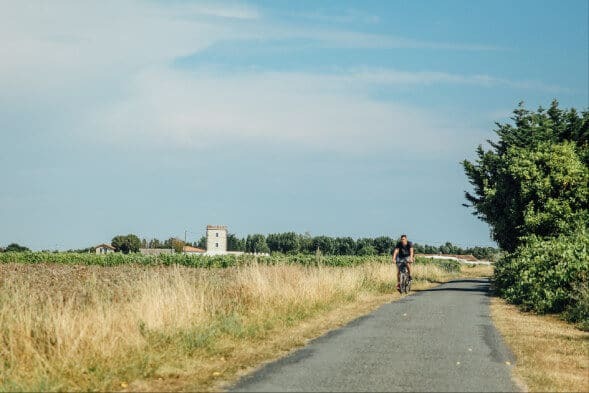 If you go to the right when you arrive in the vicinity of La Couarde, you take the direction of Ars en Ré, then a few pedal strokes further, you will arrive at Loix. If you enjoyed your ride from Saint Martin to Loix, take it back to the Couarde sur Mer. This bike path passes 50 meters from the beach of Les Prises.